Interesting. 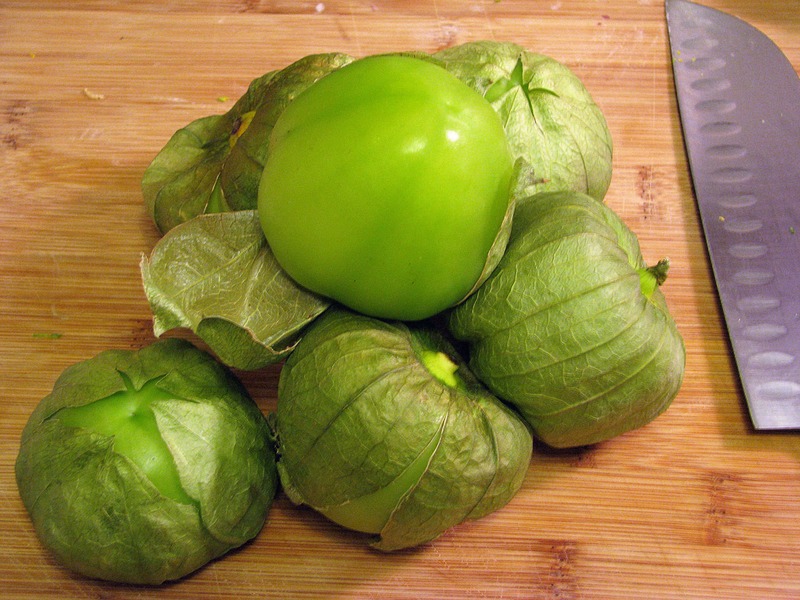 The interwebz believes that tomatillos should be AUTOMATISM. Um. Ok? Not the same thing. Anyway, this chicken is really delicious. There are a few browning steps involved before the actual braising takes place, but everything is SUPER easy and can be done while drinking wine, which is basically my criteria for any and all cooking. Don’t freak out about the tomatillos either – they have a nice mild flavor and are easy to find and totally simple to cook with if you haven’t ever before. 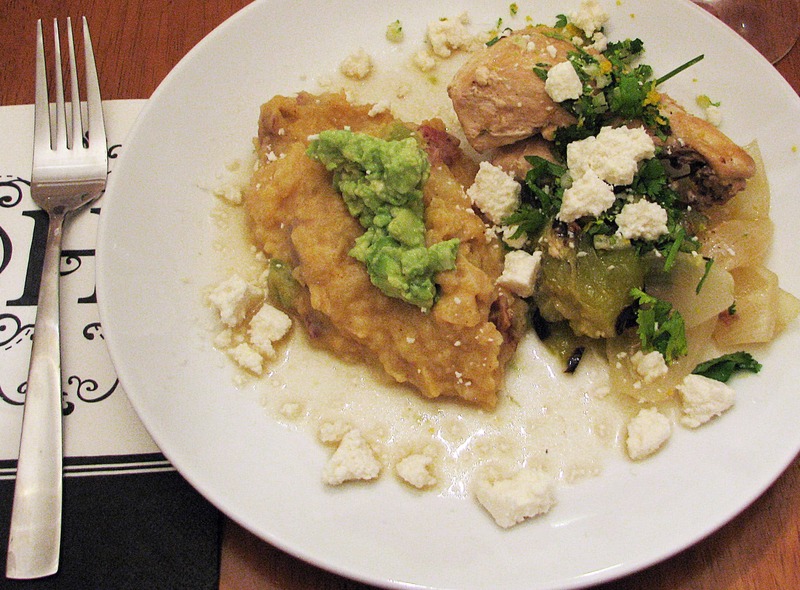 I’m dying to make tomatillo salsa, but in the meantime….let’s braise ’em with some chicken. Yummy, huh? This stuff is so packed with flavor. First, preheat a large dry skillet to medium-high heat, or high heat if your stove doesn’t get very hot. 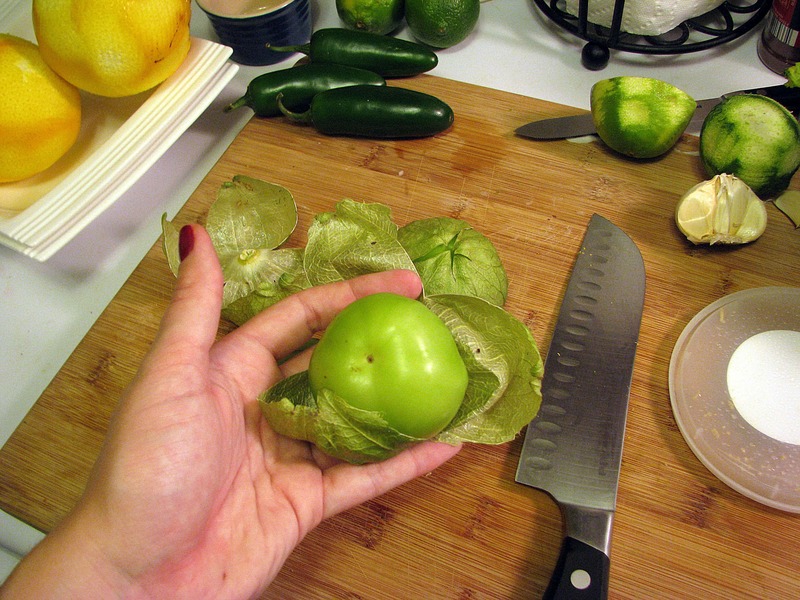 Then, let’s prep the tomatillos. 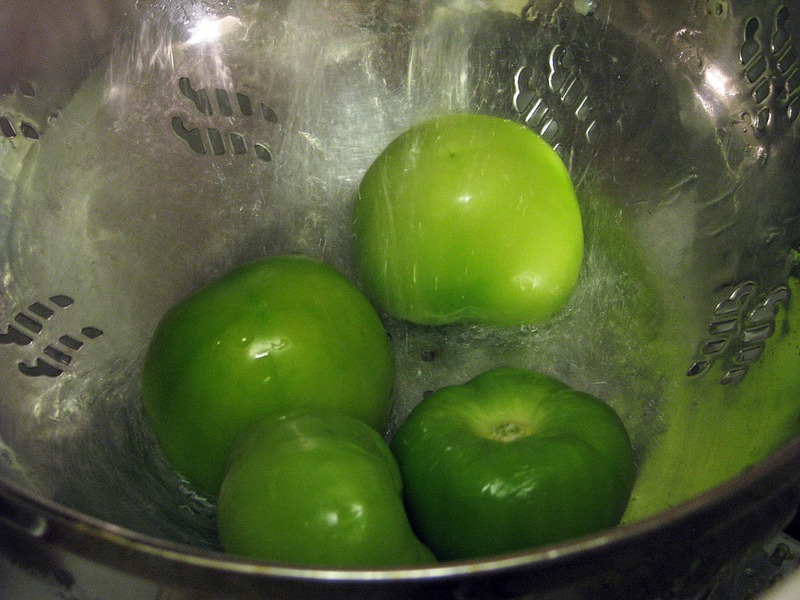 Remove the outer papery husks, and rinse the whole tomatillos under water. 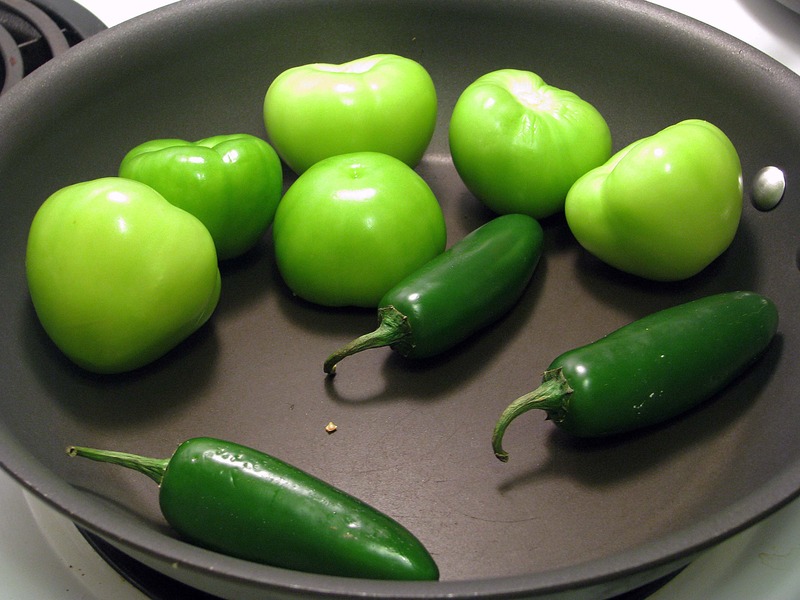 To the hot dry pan, add the jalapenos and tomatillos, whole, with no liquid. 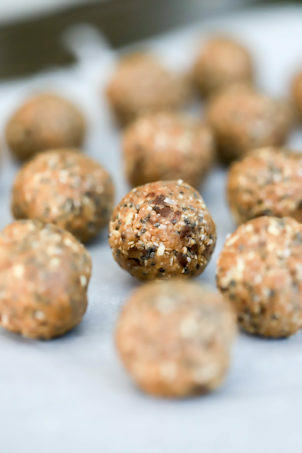 Char them on all sides for 5 – 8 minutes until black spots form. This is easiest if you leave them alone and just shake them every 3 minutes or so once one side has blackened. The veggies won’t be cooked though, they’ll just be charred on the outside. When the veggies are charred, remove them to a plate until they’re cool enough to handle, then chop them into chunks. 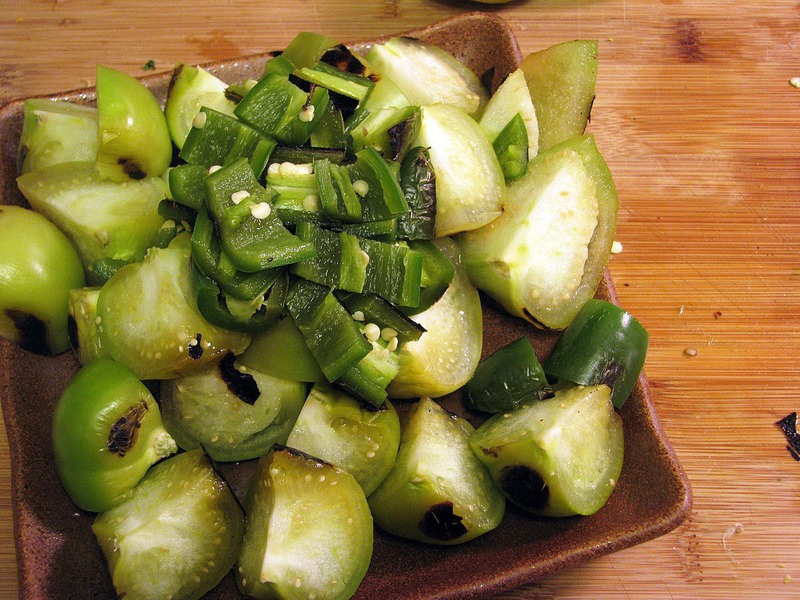 I removed the seeds from the jalapenos, but you don’t have to if you love spicy food! While the veggies are charring and cooling, let’s get to work on the chicken. The pieces I had were massive, so I cut them, bone and all, in half. Heat a large pot to medium heat with 1 tablespoon of the olive oil. 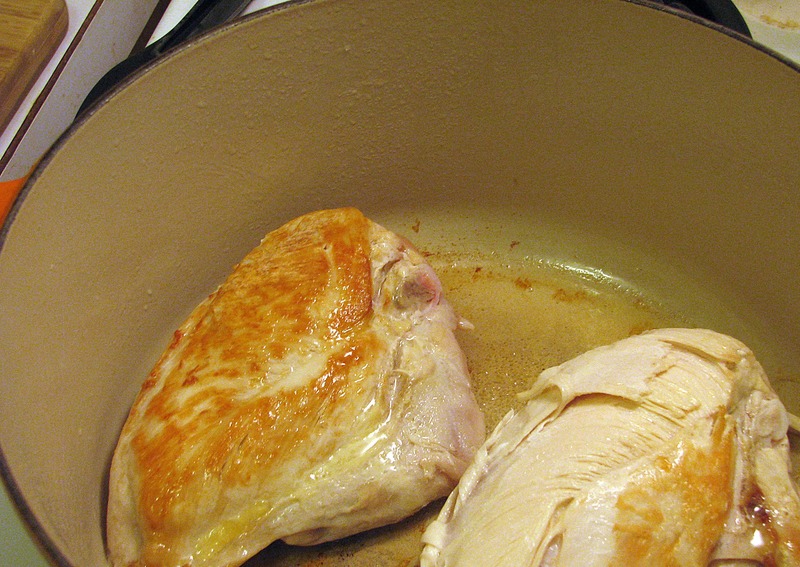 Brown the chicken on all sides with salt to your taste – let them really sear! I got excited and ripped on of mine off the pan before it was seared and it stuck. Whoops. Luckily, the world kept turning. 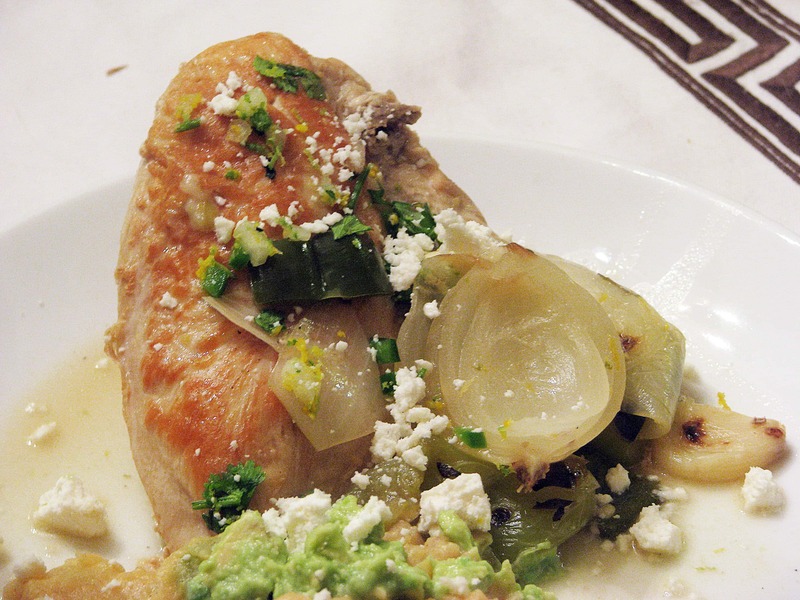 You might need to do the chicken in batches – set the seared chicken aside as it gets seared. Add more oil a little at a time to keep liquid in the bottom of the pot. 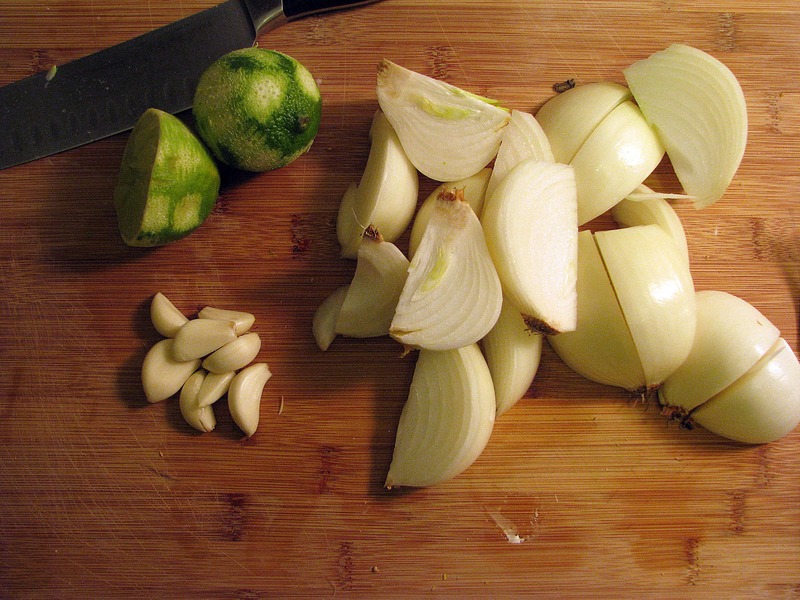 Then, peel the garlic, cut the lime into wedges for serving, and peel the onions and cut them into wedges. When the chicken is all seared and removed from the pan, add the onions and sear them for 3 minutes on each side until black spots have formed. 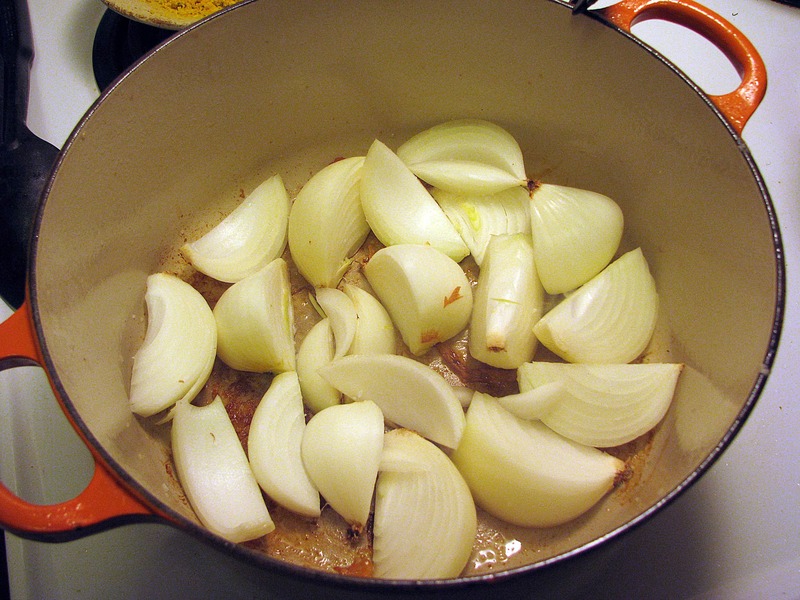 When the onions have charred, add 1 cup of chicken stock and stir it around to scrape up the chicken and onion bits from the bottom of the pan. 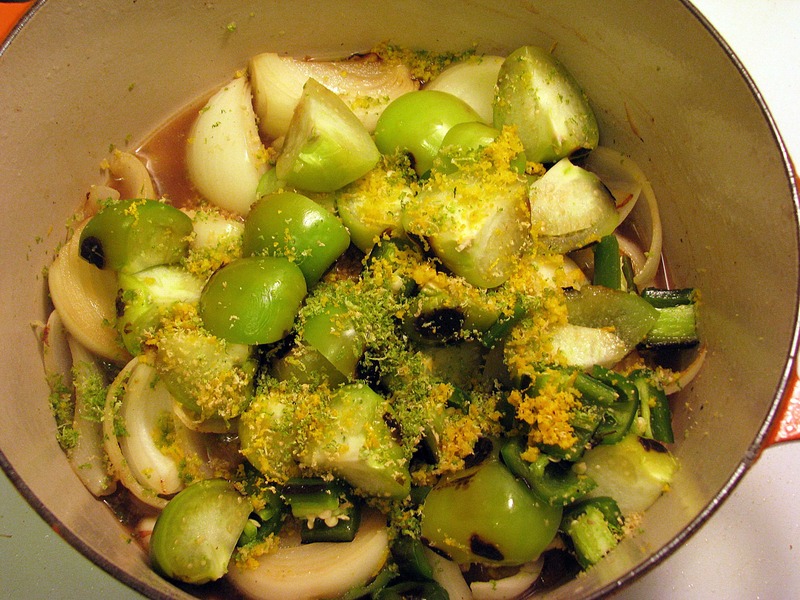 Then add the chopped charred tomatillos and jalapenos and half the lemon zest to the pot. Add a sprinkle of salt, too. 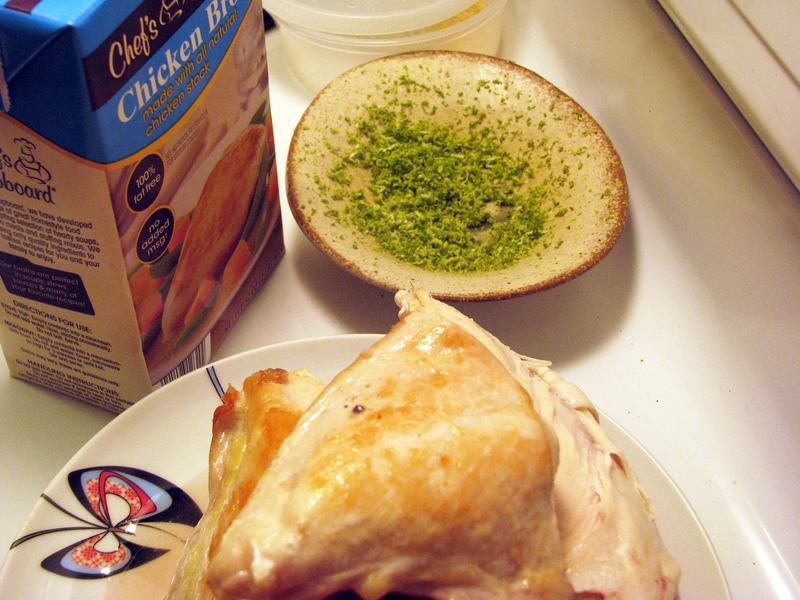 Nestle the seared chicken on top of the veggeis, and add enough stock to come up 2/3 of the way on the chicken. 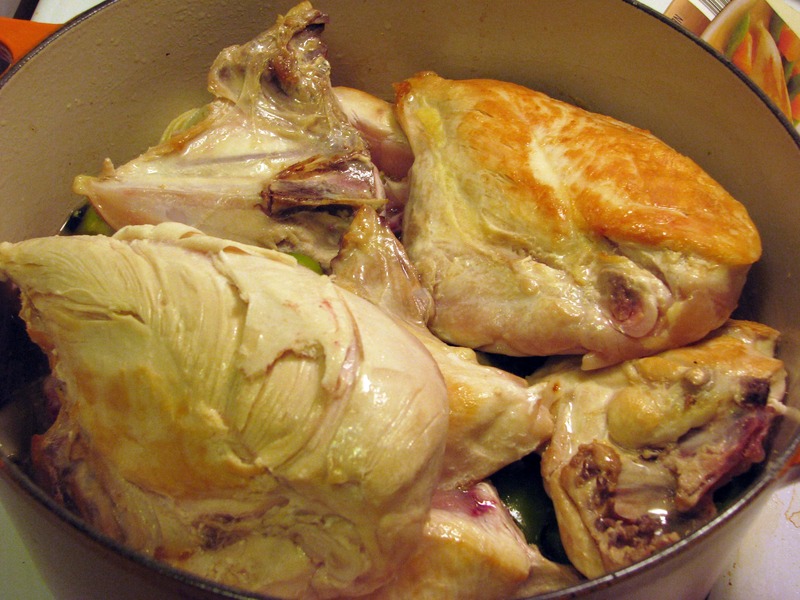 Cover the pot, and let the stock simmer very gently – turn the heat down if you need to – for 30 minutes to an hour until the chicken is cooked through. 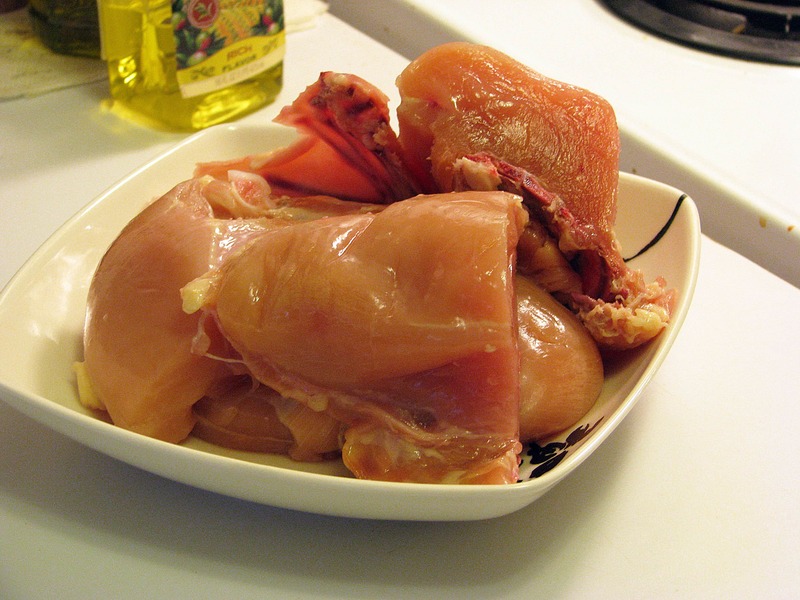 Check the chicken after 25 minutes with a meet thermometer or by cutting into it – your cooking time will depend on how large your chicken pieces are. 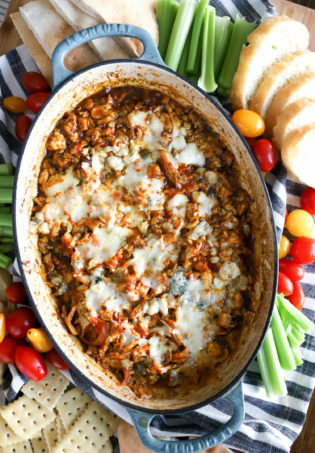 And now….you have braised chicken. When the chicken is cooked through, taste the broth and add more salt if you’d like. 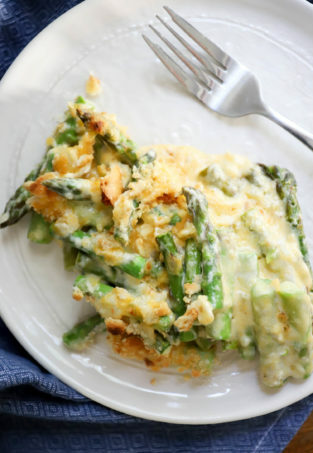 Serve with crumbled cheese, lime wedges, cilantro, and the remaining zest. This is gorgeous, guys, and goes so well with the fajita mashed potatoes we made yesterday and our own homemade guacamole. You could make this way ahead too and just leave it on the stovetop (turned off) for a few hours, then gently reheat it when you’re ready to serve. 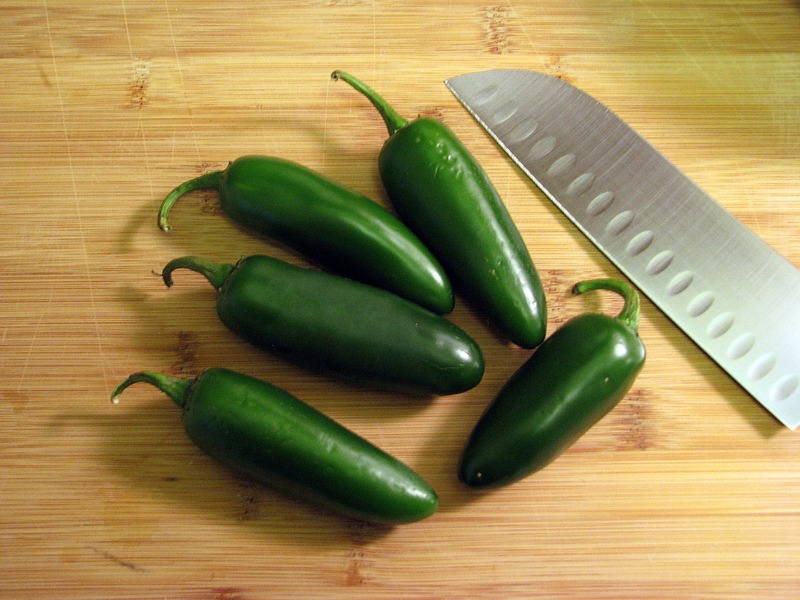 The toppings are super simple and so flavorful, and the seeded jalapenos give just enough spice. 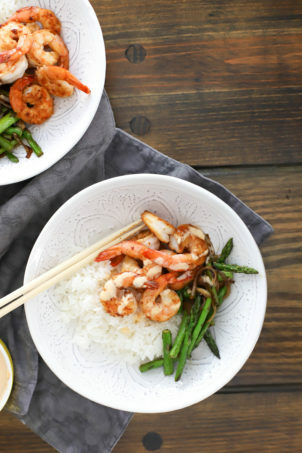 Adapted from this delicious Anne Burrell recipe.